The Cervical Pillow helps to correctly align the cervical spine and provides excellent cervical support. 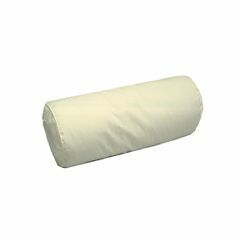 The use of this pillow is endless, it can be used at home, the office and for traveling. Comes with one pillow cover. Additional pillow covers can be purchased for this pillow. What is the cover made of? Does it have a zipper? What are the measurements of this pillow? Is it considered firm, or soft?